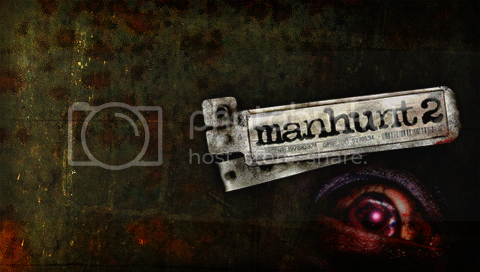 First Background I made for my psp :P I'am trying to get a whole manhunt theme going for my psp. BTW would someone mind helping me a bit through msn, pm or something getting my icons and stuff up and working? Good idea, asuming it isnt a pmf theme. Should try something realy cool and custom. Like make the xmb look like its being veiwed through a cctv or something. 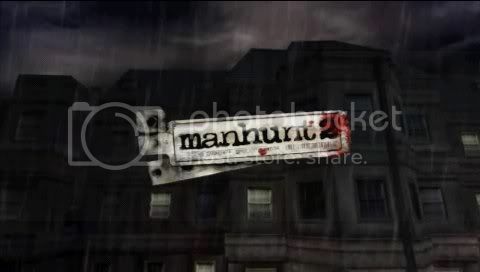 I remeber seeing a few manhunt 2 gameboots also, a realy cool headshot through a crosshair. Think it might have been done by highboy.. not sure. It would have been better if you tried to make a background yourself, instead of using an in game screenshot. Nice try though, here is the one I made! yeah.. the quality of that guy renders your background useless. 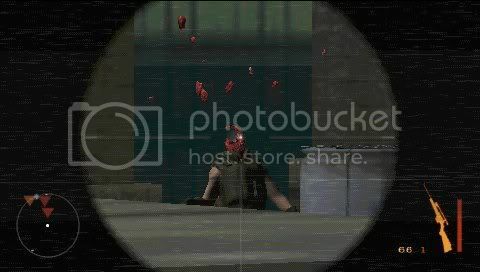 Maybe if you put a slight blur on that layer it wont look as shity. andno offense, but yours is as, if not more simpler than mine because all you did was get a render of the manhunt 2 guy from the box and blended 2 default backgrounds that cs2 photoshop came with :P with mine I did "add noise" at about 48% then added the "wind" to give it that static effect and make 2 layers and copied the static then deleted it and left the top and the bottom and added the REC and the dot.